This time 4 weeks ago i didn't even know what "SCANDI" was. I have been actively improving my home for over a year now & room by room it's coming together nicely. Pinterest has been my main source of inspiration & then when i realised much of what attracted me originated in Norway, i hit up Airbnb to look at REAL Norwegian homes & that is when i found out that my style was what is better known as Scandi. I should of known that i would be scatty for Scandi as i have sought inspiration & wandered regularly around the many mock rooms at the Ikea Leeds store since it opened in 1995. It's my husbands pet peeve that i have to spend 2-3 minutes in each of the mocked up rooms furiously jotting down notes. So for the past few months whilst decorating, my head has been filled to the brim with what i now know to be all things Scandi. It's minimal, yet not bare. Its cool, yet has an air of class. It's calming & somewhat monochrome, yet can have a well thought out splash of colour here & there. You have the odd bit of natural wood to add a balance of warmth, some Funky & unusual plants(preferably succulents) & then 1 or 2 geometric pieces thrown in to complete the theme. As you can see from the title picture & the picture above, i have unknowingly been decorating my house in this style for quite a while & absolutely loving it. However, now that i am becoming somewhat of an expert on what does & what doesn't constitute Scandi i can see odd pieces around my home that don't quite fit the brief. Case in point & the next thing on my shopping list to replace is the glass/silver coffee table above. Although its clean & minimal looking i can see that a plain white or warm natural wood coffee table would fit much better. Similarly in my bedroom(pictured in the title picture & below) i have a VERY OLD divan bed which currently is sagging in the middle & has 4 drawers i can barely open due to said sagging. The headboard is a hand me down fake brown pleather & well i just hate it in its entirety. However, i have found a bargainous scandified(is that even a word?) bed that i can't wait to receive. When it arrives it will complete my bedroom & will spark what will be the first of many blog posts about how i am slowly turning my British abode into a Scandinavian dream. 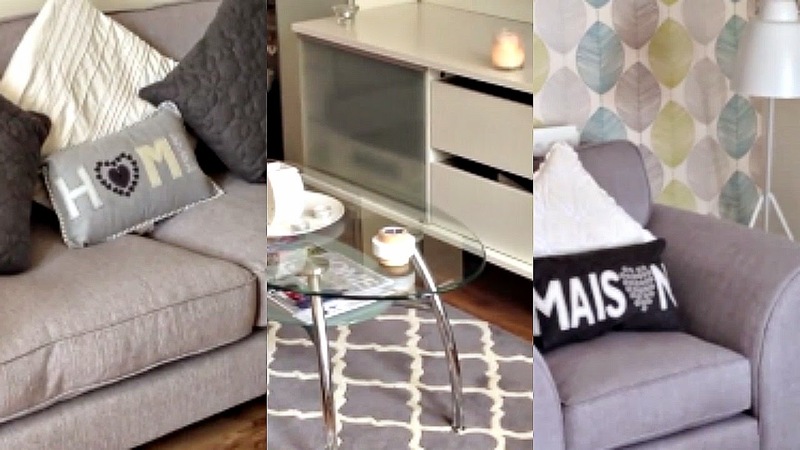 Until then you can check out my Living Room Tour over on my YouTube channel. 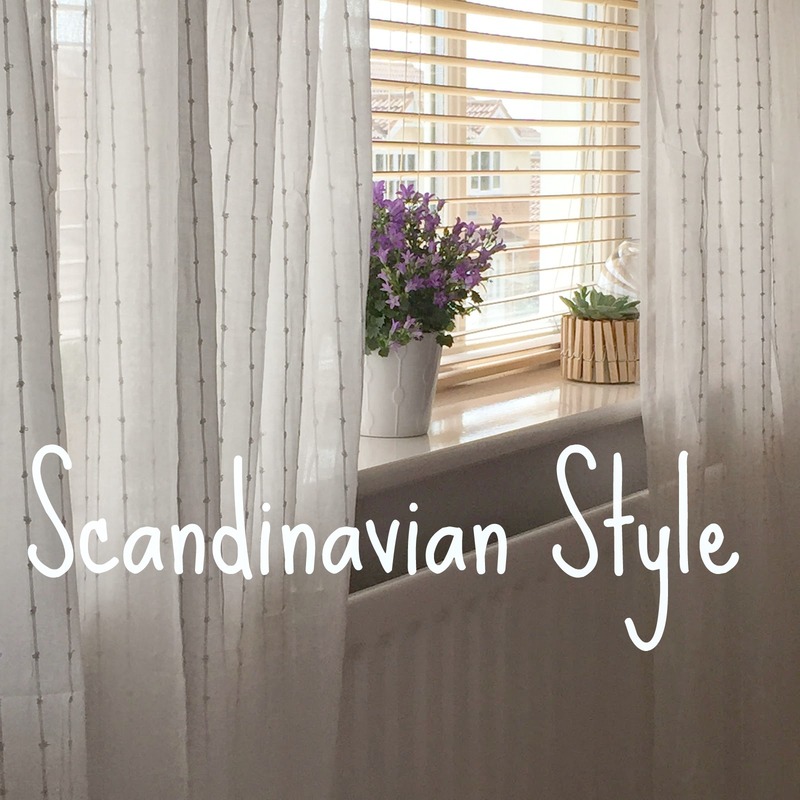 Also let me know if you are a Scandi connoisseur & spot anything in the video that does not fit with the theme or could be added to complete the room. Love that you're getting more and more 'Scandified' :) I'm so happy to see that more and more Brits are warming up to the style I've lived in all my life. I just love it Jennie. You are so lucky to of grown up with it. Such light, such calm, such comfort. As an X-Travel Agent it's also made crave a holiday to Scandinavia. Where would you recommend for my first trip? © Midlife Crisis Beauty Addict. All rights reserved.